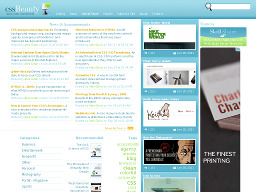 CSSBeauty.com A small portal to the CSS design community focused on providing a database of well designed CSS based websites from around the world. CSS Menu Generator Provides the tools to create custom, cross browser compatible website menus. It allows you to easily create custom CSS menus without HTML and CSS knowledge. For the more experienced web developer, the site provides the source code so you can download, tweak, and integrate the code to your site. 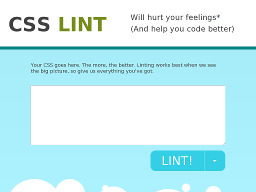 CSS Lint Helps point out problems with your CSS code. It does basic syntax checking and applies a set of rules to the code that looks for problematic patterns or signs of inefficiency. Simply copy and paste your code into the site and click "GO LINT." 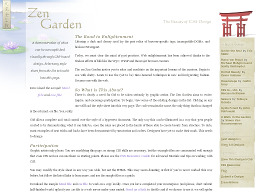 CSSZenGarden A CSS resource site that shows the power and versatility of CSS. Also, has links to other CSS resource sites. 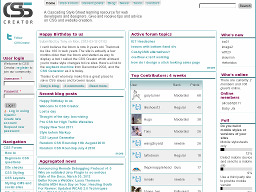 CSSCreator.com A Cascading Style Sheet learning site. 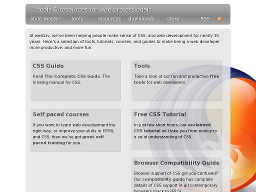 Provides access to CSS forums and blogs as well as online tools, tips and resources. CSSDrive.com Provides CSS news, examples, forums, tools, a gallery and a blog. Nice starting point to learnn more about CSS. CSSPlay Provides excellent information, demos and tutorials for using CSS in the creation of menus, layouts, boxes, etc. One of the better CSS sites. The House of Style A comprehensive resource for web developers who want to work with Cascading Style Sheets. Whether you are a beginner with no CSS experience or an expert who wants to deepen your knowledge, you'll find articles, tutorials and quick guides here to help you. 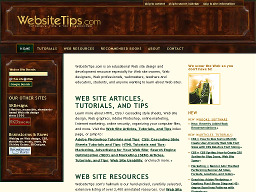 Websitetips.com An educational resource that provides CSS, HTML, and XHTML tutorials, graphics tutorials, articles, tips, information and resources to build or improve your Web site presence. Over 2,400 resource links listed.